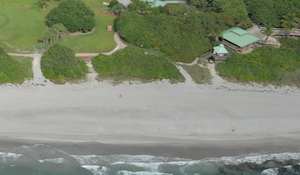 One of the main reasons why tourists travel to Boca Raton and why residents decide to call this city their home is because of the two-mile stretch of pristine, beautiful beaches. These lifeguard-protected, sandy expanses of paradise offer a relaxing escape from everyday busy life and give you the opportunity to revel in the seaside magnificence that Boca Raton has to offer. 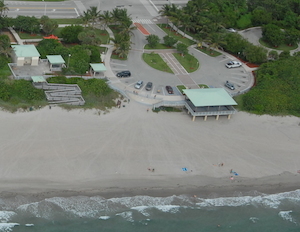 It's fine if you are just wanting to spend your day lounging in the sand or cooling off in the refreshing blue waters, but if you are looking for for some other amenities, Boca has three parks connected to the beaches that provide the essentials for your day of fun in the sun. Red Reef Park - Snorkeling, fishing and nature walks are among the many popular activities people take part in at this spectacular beach location. Red Reef Park is a 67-acre oceanfront park which encompasses Gumbo Limbo, an Environmental Education Center that provides its guests with countless fun, educational-based activities and an in depth learning experience about coastal and marine life they will never forget. Head offshore and snorkel around the colorful reefs or grab your fishing pole and cast your line into the populous waters to participate in surf fishing, a favorite pastime of many of the park's visitors. If it's a relaxing picnic day you want, look no further than the designated picnic area which is equipped with the essentials, such as grills and picnic tables. 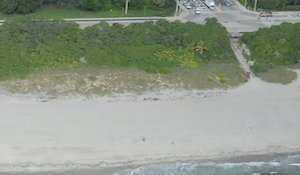 Spanish River Park - Looking for the perfect place to picnic right next to the salty seas? Look no further than Spanish River Park. The grills, tables, and restrooms in the picnic area are available for use on a first-come, first-serve basis, while picnicking in groups of more than 25 people is restricted to the picnic shelters which are made available by calling ahead and making a reservation. Overnight camping is another popular activity Spanish River Park offers to organized youth groups of 6-50 people under the age of 18. Fishing in the Intracoastal is very common at Spanish River Park, and although swimming in the lagoon and Intracoastal waterway is not allowed, feel free to spend as much time as you'd like in the cool ocean waters. Eye-catching trees, flowers and plants cover the grounds and line the nature trails to give visitors a look at the many beautiful wonders Mother Nature has created. South Beach Park - Being a favorite beach among teens, young adults and surfers, South Beach Park prides itself on its clean and safe stretch of sand and sea. At this beach, you will find many trees and shrubs native to the environment that give off a real tropical feel. A variety of smaller and larger birds can be found on the nature walks throughout the park, leaving visitors awestruck as they witness the different species. The beach is accessible from three separate locations and the open water is the perfect spot for surf fishing, a popular activity that many visitors take part in before and after designated swimming hours.